I need to design a new ab plate, though I don't know how to do it. I'm using plastic tubs to make it. All of my previous designs didn't fit my body very well. 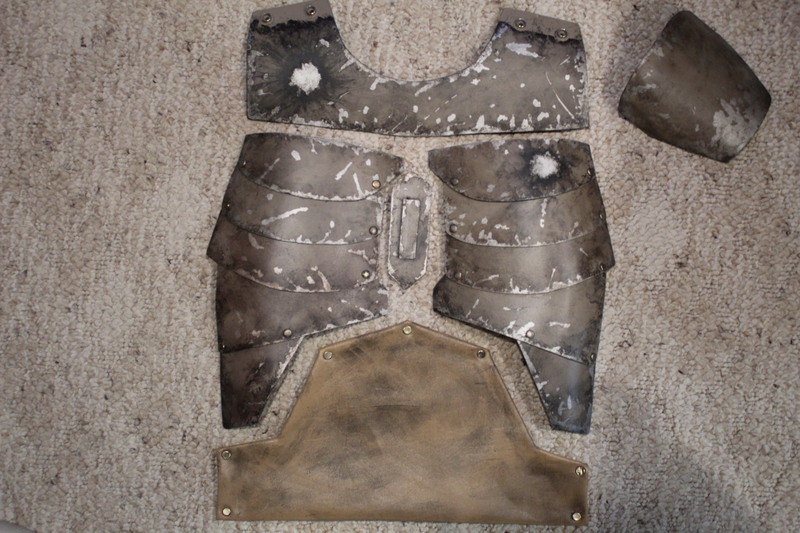 Here is my torso armor with the vinyl ab plate I had to use. I would like my new ab plate to match the overlap design of my chest plate. "I am of the Mando'ade. The fight is everything." Huh. I like those breastplates. Not sure if that's kosher, but I like it. Getting a bit of a Roman legionnaire vibe from it. could try some vertical overlap as opposed to horizontal? I'd suggest adding a little something to the collar too. anytime you do something different with a major armor piece, it helps the continuity of the kit to carry it over into other places, or else you wind up with something looking out of place. Vertical overlap is a good idea. I'll see if I can draw up a design.